Great wallpaper is one of the easiest ways to customize your iPhone's home page. They are also a great way to incorporate your personality into your iPhone. Your iPhone is a part of who you are and how you customize it is one of the many ways you can make a statement. If you want to make other laugh, funny wallpaper might be the way to go. If you have been looking for hilarious wallpapers that will make you smile every time you turn on your phone and make your friends laugh, we have the top selection for your particular iPhone. We just gave this incredibly hilarious wallpaper this name because otherwise it had a boring "funny iPhone wallpaper 5" as its title. It is absolutely hilarious and will make you smile every time you turn on your iPhone. The wallpaper was developed by iPhone6wallpaperhd.com. Choose and download the size that corresponds to your iPhone. The warning on this wallpaper speaks for itself. If it doesn't make your friends keep out of your iPhone or at least laugh, we don't know what will. This is iPhone 6 wallpaper that will add context to your iPhone. It is an ironic take on Hello Kitty that we found hilarious. It's funny especially when your co-workers see it. Maybe not so funny when your boss sees it but we know that's not something you would do on purpose. Download this wallpaper for laughs at work. 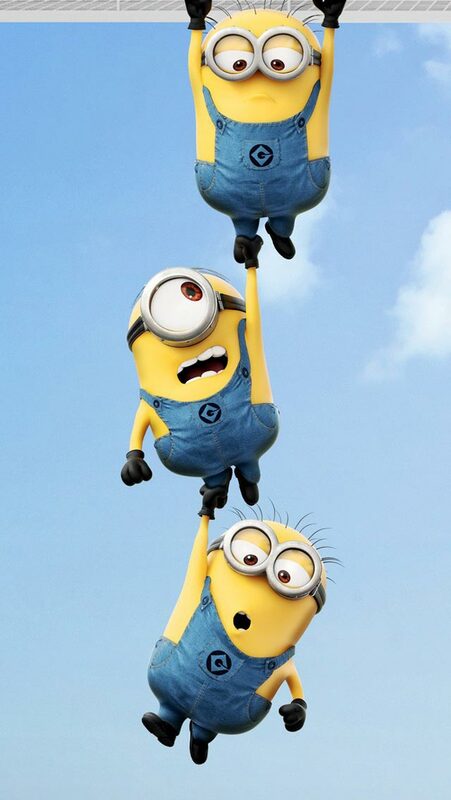 If you found the Minions movie absolutely hilarious, you will love this wallpaper. It is an easy way to remember some of the funniest scenes from the animation film, therefore a good way to get great laughs. 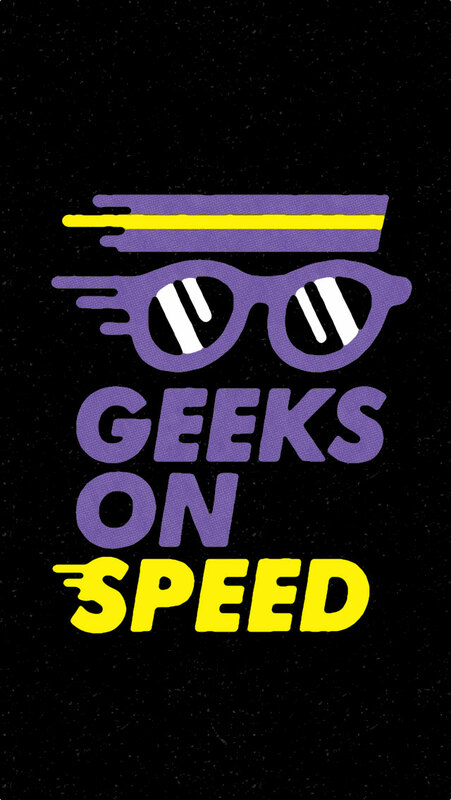 Do you consider yourself a geek? This wallpaper will not only describe you but inspire and make you smile every time you see it. Plus it will just be funny your friends. This one is a funny representation of the Monday blues. It will make you smile through terrible Mondays and make your friends laugh as well. Most of us can agree that there are very few things funnier than SpongeBob. This cool wallpaper will remind you of all the funny episodes and add laughter into your day. The vegetarian shark is just a funny well done illustration. Pick this one when you want a different view on life, not to mention that it is funny. If you are anti-valentine's day, this may be great wallpaper. It could also make a good joke not to mention make you laugh every time you see it. There is not much that can be said about this one except that it will make you burst into laughter every time you see it. With this one, your friends will want to see your phone every time you're around. This hilarious wallpaper is a great way to get a few good laughs. It is also a great practical joke to play on unsuspecting friends. It is a simple yet powerfully made statement. It is also quite hilarious. The perfect choice if you want to laugh or play a practical joke on someone you know. This grumpy cat will add laughter to even the toughest of days. The wallpaper is well illustrated and the cat looks like he's had better days. If this doesn't make you laugh we are doubtful anything ever will. This wallpaper is great if you enjoyed the Minions movie. You can interchange this one with the other Minions wallpaper we have on this list. It is funny and should act as a reminder of funny scenes from the animation. This one will make you smile even on the lowest of days. For some reason this image just invokes a smile on anyone who looks at it. This is great wallpaper for the workplace. But just like the other one we mentioned in this list, it will make for great laughs with your co-workers, but not too funny for your boss. A little super hero humour is always great. This one pits batman against superman in a situation that is bound to make you smile. Do you constantly feel like Android vs Apple is a big waste of time and resources? Here's one funny way of making a statement. This wallpaper finally puts an end to the raging war not to mention puts a smile on your face. Did you ever wonder where Darth Vader came from? This funny wallpaper will show you exactly how he evolved. It is hilarious.